Ships today if you order in the next 13 hours 24 minutes. 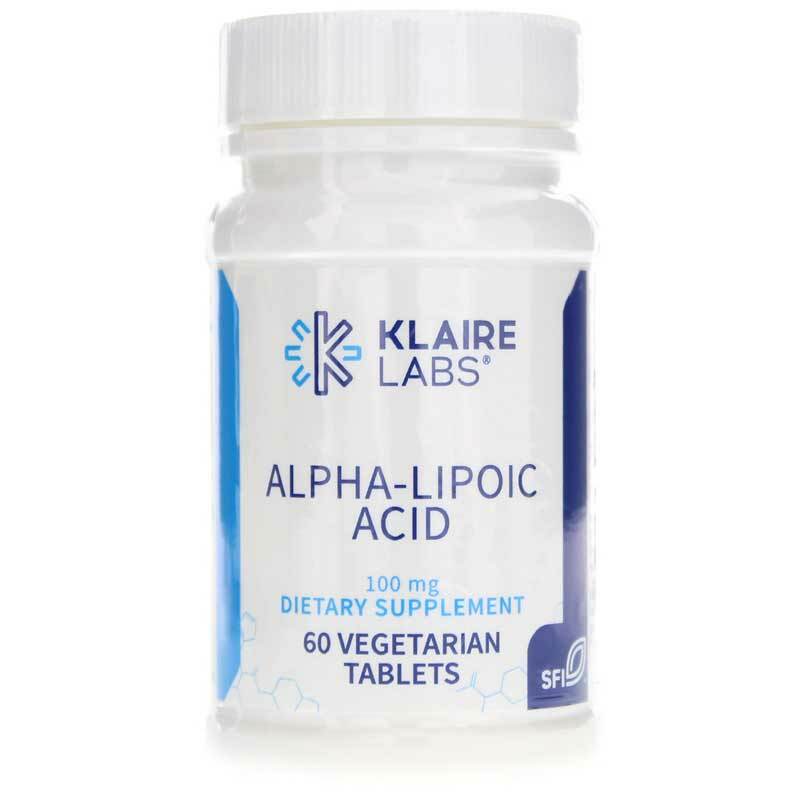 Klaire Labs Alpha-Lipoic Acid 100 mg is a dietary supplement providing a highly versatile nutrient and antioxidant. Antioxidants help eliminate waste products in your body known as free radicals, which form naturally when your body converts food to energy. Free radicals may damage cells, organs and tissues, and they make it more difficult to fight off infection. As alpha-lipoic acid is both fat-soluble, which means it can be stored in your body, and water-soluble, meaning it can also be excreted from your body, it can supply intra- and extra-cellular protection, unlike other antioxidants like vitamins C and E.
It also helps regenerate other antioxidants that have become depleted when fighting against free radicals, including vitamins C and E and glutathione. And, as a coenzyme for energy production, alpha-lipoic acid helps transport blood glucose into your body's cells, supporting normal blood sugar balance. Those with diabetes, liver conditions, or high exposure to toxins may be unable to produce enough alpha-lipoic acid. Supplementation may help in such cases. Alpha-Lipoic Acid 100 mg tablet is scored for convenience in adjusting the amount taken. Other Ingredients: Cellulose, silicon dioxide, vegetable stearine, magnesium stearate, carboxymethylcellulose sodium, and cellulose coating. Contains NO: milk, casein, eggs, fish, tree nuts, peanuts, wheat, gluten, corn, yeast, soybeans, artificial colors, flavors or preservatives.